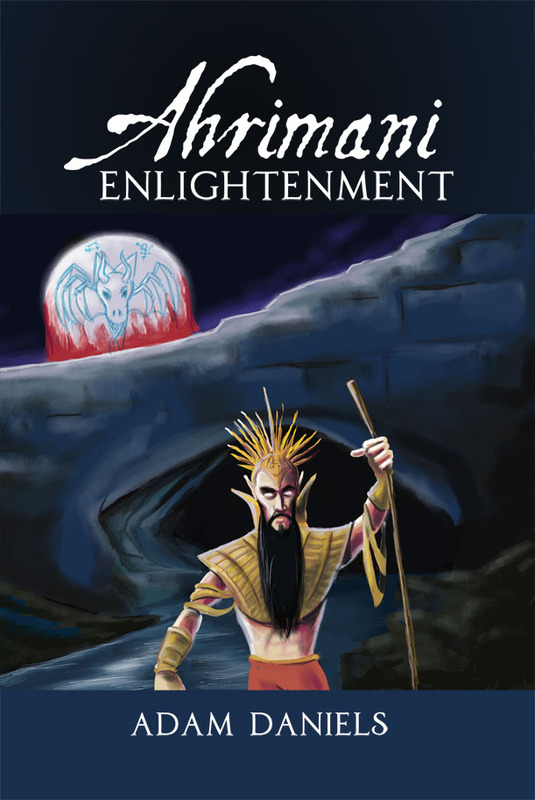 Ahrimani Enlightenment, a new book by Adam Daniels, has been released by Dorrance Publishing Co., Inc. Thus opens the Ahrimani Enlightenment by Dastur Adam Daniels, a tome that serves as a guide for those who choose to worship Ahriman, providing key articles of faith, prayers, and rituals. Ahriman is of course the nemesis of Ahura Mazda in Zoroastrianism, and here he is interpreted as the true essence of the universe, assisted by Melek Taus, the illuminating light, guardian, and ruler of Earth in this system. For the uninitiated, the church of Ahriman seeks to break away from the conventional association with traditional Satanists, “due to the understanding that Satan is a fallen angel subservient to the slave master Jehovah. Traditional Satanists believe that in the end, Satan and Jehovah will war and Satan will emerge the victor. However, Ahriman is an equally unstoppable force. The Dark Ages, dominated by the Catholic Church, based their spiritual enemy, Satan, on Ahriman. Adam Daniels holds a sixth degree black belt in aikido and a black belt in judo. After killing an assailant in self-defense, Dastur discovered he could find little solace in the religions and spiritual systems he could find. A critical statement in a Satanic Bible, however, enabled him to turn his life around, and he has never since looked back, even finally finding a way to fuse Satanism with Eastern spirituality. Ahrimani Enlightenment is a 72-page paperback with a retail price of $9.00. The ISBN is 978-1-4809-0149-0. It was published by Dorrance Publishing Co., Inc of Pittsburgh, Pennsylvania. For more information, or to request a review copy, please go to our virtual pressroom atwww.dorrancepressroom.com or our online bookstore atwww.dorrancebookstore.com. This entry was posted in Church of Ahriman, Left Hand Path, Occult, Ritual Magic, Vedic Hinduism, Zoroastrianism and tagged Adam B Daniels, Adam Daniels, Ahriman, Ahrimani Enlightenment, Ahrimani Gathas, Ahrimanic Liturgy, Ahrimanism, Ahzi Dahaka, Angra Mainyu, Arch-Bishop Paul Coakley, Archdiocese of Oklahoma City, Bishop Edward Slattery, black magic, Black Mass, Black Mass of Oklahoma, Catholic Church, Church of Ahriman, Church of Ahriman Oklahoma, Daeva worship, Daevas, dakhma of angra mainyu, Dastur, Dastur Adam Daniels, demons, Destruction, Devil, devil worship, Diocese of Tulsa, Doug Mesner, evil, freedom, Halloween, Hell, Okc Satanism, Oklahoma Satanism, Oklahoma Satanists, pure evil, Satan, Satanic Black Mass, Satanic Black Mass of Oklahoma, Satanic Ritual, Satanic Statue, Satanism, Satanist, spiritual satanism, The Satanic Temple, Theistic Satanism, traditional satanism, Vedic Hinduism, Zoroastrianism. Bookmark the permalink.